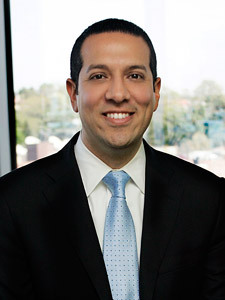 Danny concentrates his practice in employment law and general civil litigation, at the trial and appellate level. Danny’s experience covers a wide range of subject areas including: employment discrimination and retaliation lawsuits; enforcement of covenants not to compete; drafting of employee handbook and other agreements; and complex business disputes, including those involving trade secrets, contracts, fiduciary duties, and insurance litigation. Danny also counsels employers on compliance with state and federal statutes. Danny has been named a “Rising Star” by both Missouri & Kansas Super Lawyers and Texas Super Lawyers. Prior to joining Seyferth Blumenthal & Harris, Danny practiced for eight years in Austin, Texas. Danny has been active in serving the community, including through the Greater Kansas City Chamber of Commerce – Centurions Leadership Program (Class of 2019), Nelson-Atkins Museum of Art – Art Leaders (Class of 2017), Mid-America Gay & Lesbian Chamber of Commerce – Barnes Leadership Series (Class of 2017), Leadership Austin (Essential Class of 2015), Equality Texas – Board of Directors (2013-2016).